Optimist International Oratorical Contest is open to high school students under the age of 18 who are planning to enroll in college and have an interest in public speaking. Winners at the district level win college scholarships. Students may choose to enroll in either a two-year or four-year college or university and may attend either part-time or full- time. They must be citizens of the U.S. or Canada. The current oratorical topic is "Why My Voice is Important." Students are required to give a 4-5 minute speech on this subject. The speech may be submitted to a local Optimist Club for entry. Winners compete at the club level, then proceed to zone competition, and finally compete at the district level. Winners at the district level include a first, second and third place scholarship award. The Optimist Club has been offering the oratorical contest since 1928. More than $150,000 in college scholarships have been given each year by the Optimist International Foundation through this program. 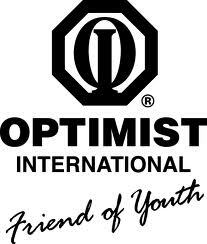 Optimist International supports programs that meet the needs of youth worldwide. Through its 2,900 clubs, Optimists and adult volunteers help more than six million youth through over 65,000 projects. Optimist clubs teach young people to be strong, positive, enthusiastic, forgiving and to always do their best. The deadline for this scholarship is in MARCH each year, and the award amount is usually $1,000 - $2,500.